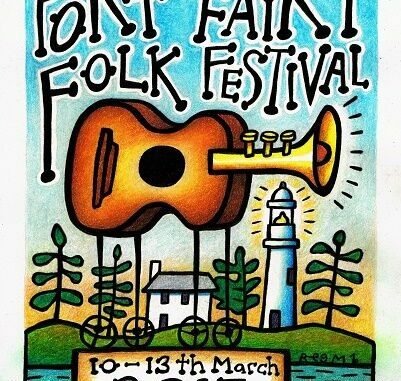 Port Fairy Folk Festival has enticed audiences by revealing a who’s who of both star-studded and must-see emerging acts, since it began rolling out its line up in September. On Friday 18 November the festival announces the fourth and final lineup of talent from across the globe to join the 2017 festival. This new announcement includes Australian star Lior, whose powerful voice and dexterous guitar style has drawn comparisons with Jeff Buckley and Rufus Wainwright; and the ever charming and talented Marlon Williams, hailing from NZ and described as the impossible love child of Elvis, Roy Orbison and Townes Van Zandt who’ll perform with his band The Yarra Benders. From further afield, comes mystic music star Mercan Dede. The Turkish-born, Montreal-based musician, producer and DJ will take to the stage with his group Secret Tribe, fusing his turntables with traditional instrumentation, accompanied by the entrancing whirling of spectacular dervish dancer Mira Burke. Also making the long international pilgrimage is Irish singer-songwriter Aoife Scott whose fragile and ethereal voice has become a force to be reckoned with on the Irish folk and Traditional scene; UK’s Boo Hewerdine, known as one of the greatest songwriters in the business; Juno Award winning Canadian act Digging Roots; The Changing Room will sing original, award winning songs in both English and Cornish language and Mexico’s Mexrrissey, described as a ‘7 piece horn-infused love letter to Morrissey’. Also joining the line-up is ARIA nominated and much loved bluegrass band with 5 part harmonies The Wilson Pickers; London-born Australian folksinger Danny Spooner; Melbourne’s own and much loved Charles Jenkins; multi-genre mini orchestra TEK TEK Ensemble; alternative folk/rock troubadour Tim Wheatley; folk female four-piece The Drowsy Maggies; violin virtuoso Ewen Baker; regional Victorian group Featherhead featuring Gary Adams and Jimmy Williams; West Ireland infused Australian Traditional act Lisnacrieve; Port Fairy’s own The Southern Ocean Sea Band; Folk Alliance Australia Act of the Year winner The Bean Project, this year’s winner of Triple J Unearthed and the Vanda & Young Songwriting Competition Gretta Ray; Geelong band Hey Mammoth; Melbourne Hill Country Blues group The New Savages; and iconic Melbourne act the JVG Guitar Method. Having previously revealed the 2017 poster by legendary artist Reg Mombassa, the festival is excited to also play host to Dog Trumpet, the family affair that is none other than brothers Pete O’Doherty & Reg Mombassa, former members of Mental As Anything. Port Fairy Folk Fest will present special events including ‘Buried Country’, a show that reveals the hidden and powerful history of Indigenous Australian Country Music. ‘The Mission Songs Project’ will faithfully explore the musical journey of Indigenous Australian music connecting the traditional with the contemporary. ‘Barry Versus Kelly’ is a musical drama by Felix Meagher about the trial and execution of Ned Kelly in November 1880, which will be staged at the Port Fairy Courthouse. Please Note: The Festival has been advised that due to health issues Patty Griffin is unable to tour at this time. We wish her a speedy recovery and hope to see her in Australia in the future.